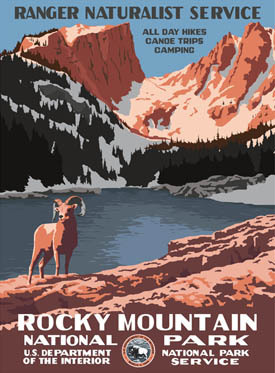 This interdisciplinary field workshop was developed by Dr. Ben Bobowski and Dr. Ben Baldwin of the National Park Service and Rocky Mountain National Park. This workshop is a major curricular and institutional innovation that addresses a real-world, practical problem: the disconnection between academic teaching and research on the one hand, and professional natural resource management in the public land agencies on the other. Parks as Portals to Learning will use environmental history as a foundation for students, professors, and agency professionals to analyze contemporary resource issues such as climate change, air quality, and elk-vegetation dynamics. The pilot launched in 2013, with field workshops held each summer since. For one week each August, a group of students and faculty from a range of disciplines stay on the ground in Rocky Mountain National Park. They engage with park natural and cultural resource managers, learn about management issues within the park, and propose ways to use environmental history to address these issues and propose creative strategies for learning about and preserving park resources. It’s a real honor to be participating this year, as the NPS celebrates its centennial this month. La Famille Historiann buys a parks pass every year as we tend to visit and vacation in national parks very often–but then, we live an hour’s drive from Rocky, and there are dozens of spectacular national parks and monuments within a day’s drive of Colorado’s Front Range. As many of you are aware, traffic and popularity have become real issues in some of our most treasured national parks and monuments, and the Parks Service works every year to balance their dual mission of preservation and access to these public lands. Marquee parks like Glacier and Yellowstone are overrun every summer in spite of their relative isolation from major population centers, and parks like Rocky and Yosemite are popular with visitors all year round because of their proximity to Denver and Los Angeles. Zion is almost becoming a year-round park too, because of the short winters there and its location only a few hours beyond what it takes for most Southern Californians to drive to Yosemite. My favorite is the most visited national park–the Great Smoky Mountains! I’m originally from WV, so most mountains make me happy. Would love to tour the Rockies one day. Enjoy your vacation! 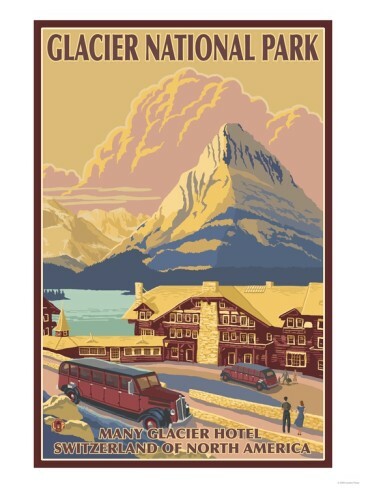 I’ve only ever been to Glacier, which I adored. Enjoy your high altitude romp! 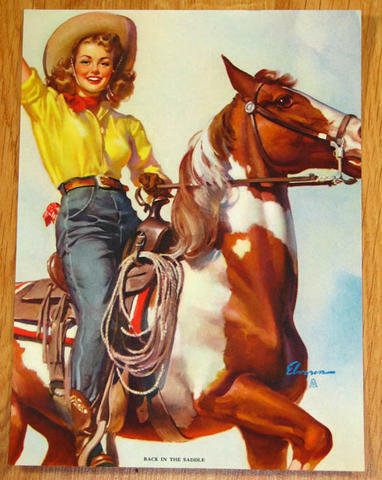 You’ve sure got spectacular country in which to romp and maybe even a clear view of the Persiads? Not so in overcast NC. From near the Smokies, I also envy you your elk. The ones I saw in the Rockies were quite large; Catalouchee’s are modest but not, it seems, shy. Park-wise, we’re slammed here, and desperately underfunded in my town’s two closest parks: the Smokies and the wonderful, winding Blue Ridge Parkway (yay, Stanley Abbott! What a dream job for a 27 year old). Neither have entrance fees, and it shows in the increased destruction of the parks and their deterioration. Entrance fees have been a quandary since their inception: it was partly because parks were so affordable a getaway that my mom took all of us camping at an early age, and my Eagle Scout brother carried on the tradition by casually introducing unsuspecting siblings into backpacking. Now we’re every one of us rabid Parks supporters, with a “whatever it takes” mentality. But without fees, facilities and staffing suffer, and there are more local idiots willing to take out their frustrations on a public site, so long as it’s free. The relentless starvation of the Parks in federal funding through four decades is heartbreaking, and even the extraordinary local community volunteer support can’t make up for it. All the more reason to kick the privatizing Republicans and their platform plank out and sweep in a President and Congress to fund these national treasures for the next several generations. I have probably visited Joshua Tree the most, even though it is only a National Monument! I also really liked Kings Canyon National Park. I took several week long backpacking trips in Kings Canyon, Sequoia, John Muir Wilderness and Mt, Whitney with the Boy Scouts in my youth. I miss the National Parks, Wilderness lands and BLM land out west. I hope to take my kids out there someday. In June we did a round trip through Bryce, Capitol Reef, Moab, and Monument Valley. Bryce is always wonderful and Moab was fun, but Capitol Reef totally blew me away. We only had one day there, and I want to go back. It is a particularly great combination for geologists and historians because of the spectacular rock formations and the historical legacy of ancient Puebloan and modern Mormon settlement. The Mormons planted hundreds of fruit trees that the Park Service still tends, and they left graffiti along the canyon that was the sole way in and out of the settlement until just a few decades ago. Native Americans hunted there and left petroglyphs. There are also fine camping sites, and it wasn’t too crowded because it’s a bit hard to find. Contrast with Zion, which we simply passed through on our way out — what a zoo! I’m glad we visited that one during the recession when the crowds were still manageable. Have a great time, Historiann! The workshop is pretty intense. We are to bed at 10 and up again at 5 or so. Just like camp! Interesting fact: the Obama stimulus of 2009 got a lot of work done in Rocky. We were told by the ecologist who is our host in the park this week that “if you had a shovel-ready project, it got funded.” But in general I think PDXpat is correct: the 40-some year habit of defunding our national treasures has taken its toll. 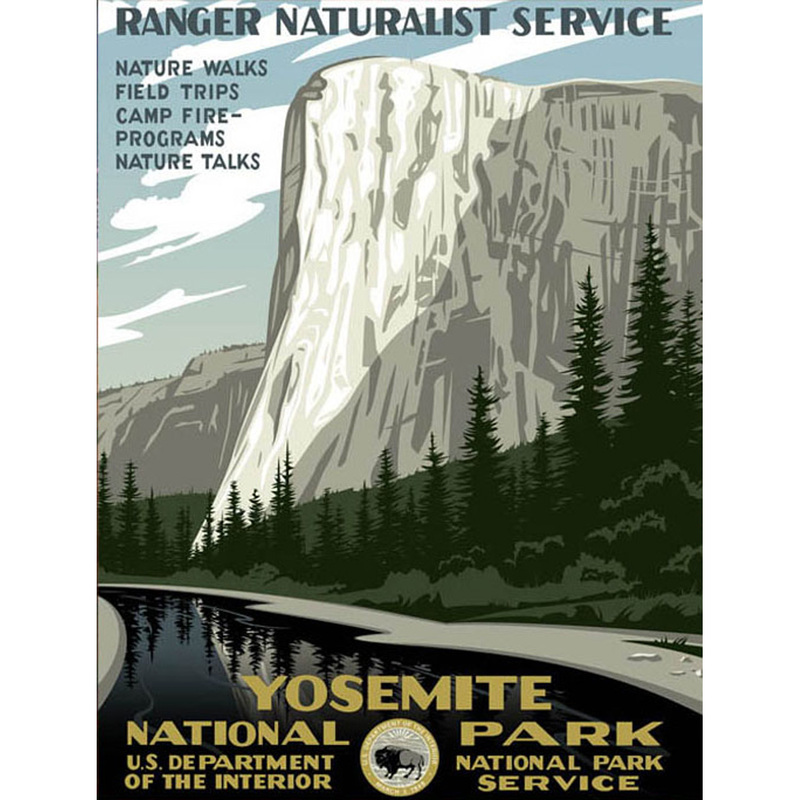 The ecologist also said that the Park Service is apprehensive about the “new boss” and the direction she or he might set–that is, the fall election and the changes that will mean given the fact that the Department of the Interior & its subsidiaries are in the executive branch. Congratulations on this gig, Historiann. The Park Service has its issues, but I think that of the 3-4 public agencies in/for which I’ve worked scattered over the years, it’s the least cynical and most dedicated. Parks and universities share the yoke of cynical governmental (really legislative) disinvestment, so the collaboration seems particularly appropriate. The story of how National Parks existed for half a century before anyone thought to herd them together into a specific focused agency is an interesting one. I think Glacier qualifies as one of the “big four, although in truth I’ve only actually been in the Grand Canyon, of this group. And I don’t really think of Rocky as “minor,” more as middling. But that’s an eastern focus, where you can drive past an installation and miss it by virtue of looking out the other side of the car. I’ll put in a nomination, if not a vote, for Delaware Water Gap National Recreation Area, (Pennsylvania and New Jersey. I don’t think the internal sub-categorization of sites is too meaningful, except for administrative purposes. The story of how that park got created is also worth knowing. Thanks, Indyanna–YOU were the person who called Rocky “pretty nice for a minor park” many years ago. Oops, I forgot about that! I thoroughly enjoyed that hike though, even tumbling head-over-heels on the downhill part. I saw a medium-sized adult black bear swim across the upper Delaware River one time, heading contrarily to the New Jersey side.